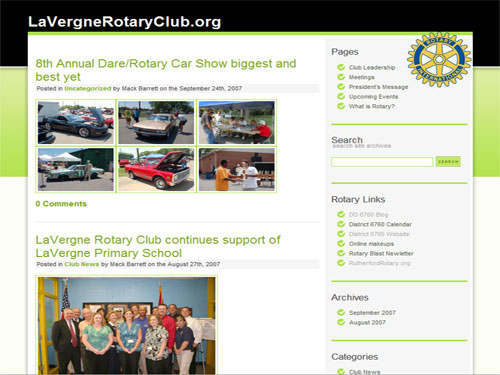 The LaVergne Rotary Club needed a place to showcase local functions and their activities in the community. This website allows them to post articles, photo galleries, and video to their website – all without a webmaster! 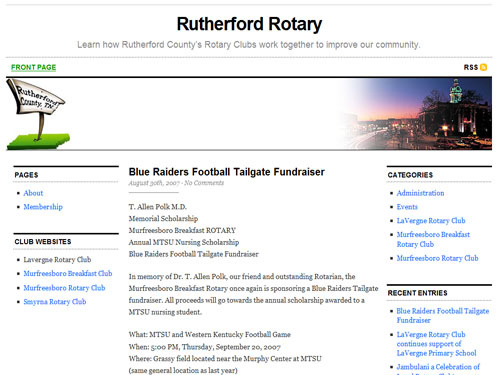 Rutherford Rotary is a central outlet for area Rotary clubs to post news, events, speakers, etc., as well as promote Rotary International, the nation’s oldest service organization.